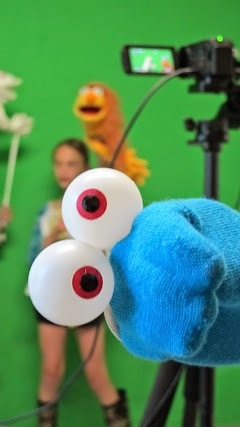 Upcoming puppetry workshops at Gorman House! I’m very excited to announce I will be running a series of kids, teens and all ages puppetry workshops this month as part of my residency in the Project Space at Ainslie and Gorman Arts Centres. I’ve attached a flyer with more info, please feel free to pass this on to anyone you know who might be interested! Be quick – places are limited! School Holiday Programs at Belconnen Arts Centre! I will be running three very special school holiday programs at the Belconnen Arts Centre early October. - OR “Teens class Thursday 9 October > 1:00–4:00pm”. More details about their other holiday programs at the bottom of the page. I’m very proud to announce we’ll be working again with The National Museum of Australia and bringing back the beloved pair, Baz N Snags, for a big Australia Day stage show! Mark your calendars for a great family fun day out at the Museum on Monday, 26th of January 2015! The show will be themed around the NMA’s current exhibition, Spirited. For our previous work with the NMA – follow this link. 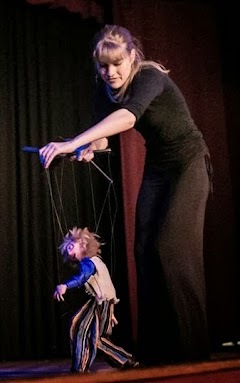 In June last year, I won a scholarship to attend a very specialised puppetry conference in Connecticut, USA. I trained everyday from 9am till midnight and worked one-on-one with Phillip Huber (world-famous master puppeteer, who did marionette sequences in blockbuster movies such as; ‘Being John Malkovich’ and ‘Oz: The Great and Powerful’). At the conclusion of the training, I had created and performed my finished marionette piece, ‘Woo Pee Woo’ (choreographed to my own composition) in 2 big public performances, attended by many well-known puppeteers, colleagues, family and friends. You can view the video, here. After the conference, I received a position as Head of Puppetry Department at a very specialised performing arts summer camp for teenagers, also in Connecticut, USA. My job was to set up and run the workshop (which had been sponsored by Sesame Street and the Jim Henson Family), develop the curriculum and teach hundreds of teens puppetry for two months. It was truly one of the most magical two months I’ve ever experienced. Since then, I have big plans to start up a type of ‘puppetry school’, right here in Canberra. The above workshops are just the start – so please help me spread the word, sign up to my classes and help me make magic happen in Canberra. You can view a short video of my time at the camp, here. 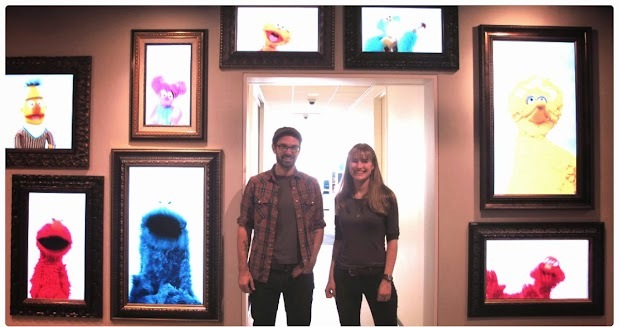 During my time at the summer camp, the director of Sesame Street came to visit the puppetry workshop and was so impressed by the standard of work that was made and the creative environment that my collegue and I had created, that we were invited to come visit Sesame Street HQ in New York City. This eventually led to a commission to create a series of workshop instructions for a potential puppetry workshop to be set up in one of the Sesame Street theme parks! - and a wonderful commission to create a series of Wetland puppet characters for a school on the Gold Coast. For more news of what I’ve been up to – check out the blog, projects and videos page! 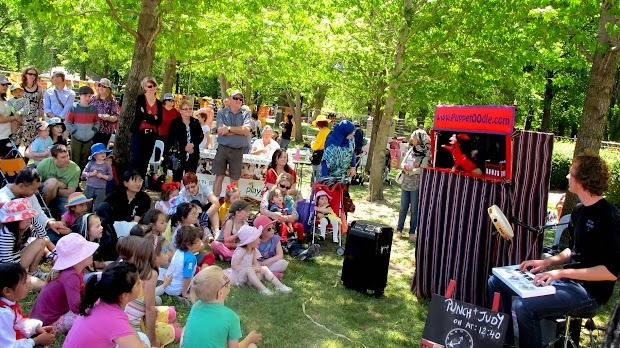 Include a puppet show or workshop at your event! Want something different for your upcoming birthday party, function, event or school program? 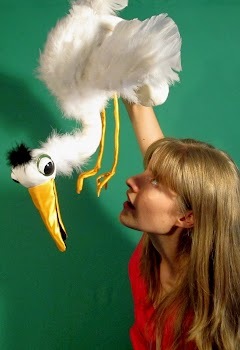 Why not try a puppet show or a puppetry workshop! Shows, workshops and packages starting from as low as $210. Shows are completely battery powered and are very adaptable – can be performed in a big outside venue or a small living room. Workshop include all materials and equipment. Keep up to date on all PuppetOOdle’s adventures by visiting their blog on their website and by clicking the ‘like’ button on their facebook. You received this email because you signed up to the PuppetOOdle mailing list. Our apologies if this has reached you by mistake. To unsubscribe please send an email to marianne@puppetoodle.com with the text “unsubscribe”.